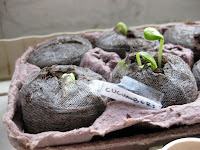 Early this spring we picked up an assortment of seeds, some peat disks, and some cardboard egg cartons, and in a couple weeks we had a little garden sprouting on the windowsill... Cucumbers, beets, tomatoes, squash, cilantro, oregano, parsley, basil, lettuces, and more, poking their little spindly shoots up and out of the spongy dirt. Just like a magic trick. 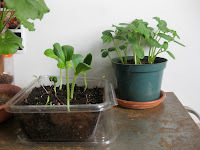 Eventually our little sprouts got too big for their britches, and we transferred them into other containers-- empty yogurt cups, vacant tofu trays... like hermit crabs looking for shelter in a garbage dump, our little plants donned festive refuse pants as they got bigger and stronger every day. 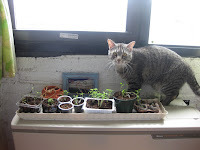 The biggest challenge was trying to prevent our cats, Pete Townshend and Mr. President (at left, hopefully to be featured soon as a guest blogger on Plant Something), from bringing about their wanton demise with a well placed swipe of the paw. Our sprouts survived the trials and tribulations of young urban planthood and around week three the cucumbers, beets, and squash were all looking terribly grown up-- I caught the cucumbers starting to wear lipstick, and the squash plants sort of smelled like cigarettes when they came home from school, although they denied everything. We started to think maybe it was time to harden them off and move 'em up to the roof. But are they ready for so much sun and wind? 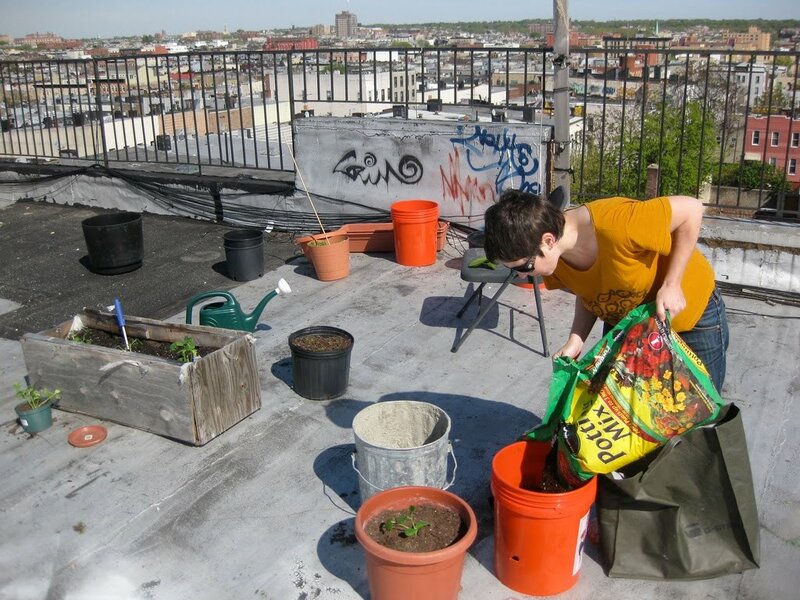 Will some derelict neighbor pour beer on our babies or snuff stogies in our soil? 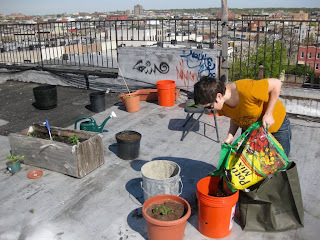 Is it necessary to know anything about farming to grow edible plants in a relatively inhospitable setting? Tune in next week for answers to these burning questions and so much more. That cat really wanted a piece of those beets.